Your guide to drinking and dining events. “Cinco falls on a Friday this year and we’re celebrating with great music, food and fun times! We’ve got live country from Raised Right Men and Walker & Lowe in the venue, Lil Chris of Faded DeeJays in the main bar spinning latin, hip-hop and everything in between, Photo-Wagon photo booth documenting your holi-daze, and Casa Masa tamales and churros to keep your hanger at bay! 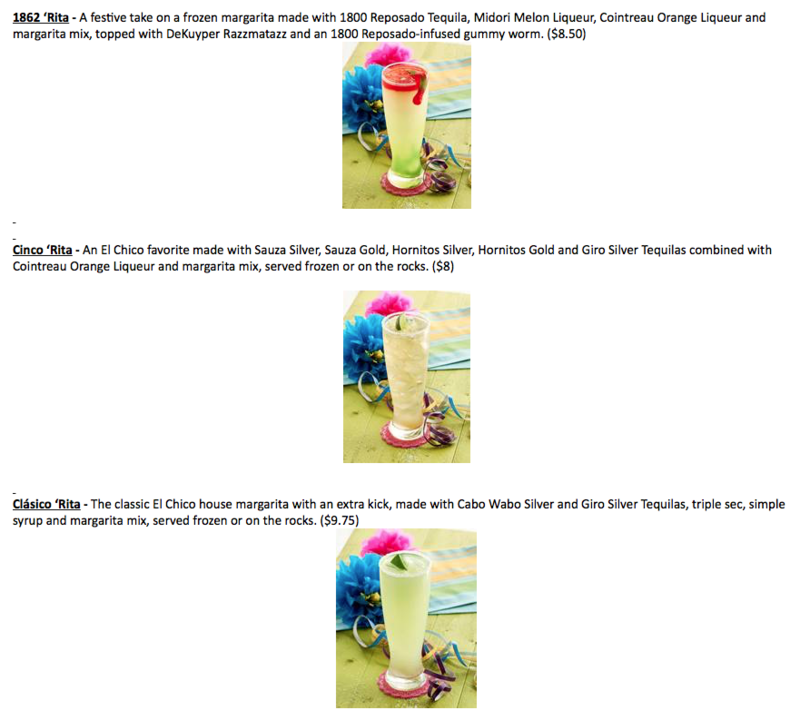 This will be the first apperance of our new friend Off The Wagon Mobile Bar, they will be on hand to dish out the DEBUT OF OUR EXCLUSIVE FROZEN CHURRO PIÑA COLADA featuring churros-infused Tequila Terremoto! “On Friday, May 5, Taqueria La Ventana and Dallas Social will be hosting an unforgettable fiesta at its downtown Dallas location near Victory Park. 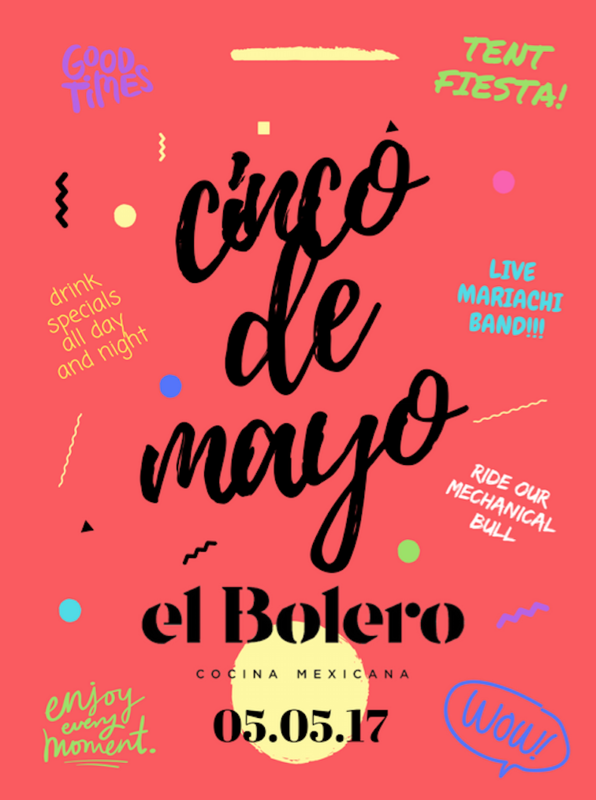 From 2 – 11 p.m., revelers of all ages are invited to indulge in delicious Mexico City street tacos while dancing to live music on the eclectic outdoor patio. A live DJ will be on-site from 3-6 p.m., and Tamborazo De Arranque will keep the party going in unique Cinco de Mayo fashion until 11 p.m. A Luchador will even make an appearance to pump up the crowd and pose for photos with guests. Throughout the evening, guests will be transported to the bustling, vibrant streets of modern Mexico while enjoying $2 street tacos and chips and queso for $4. 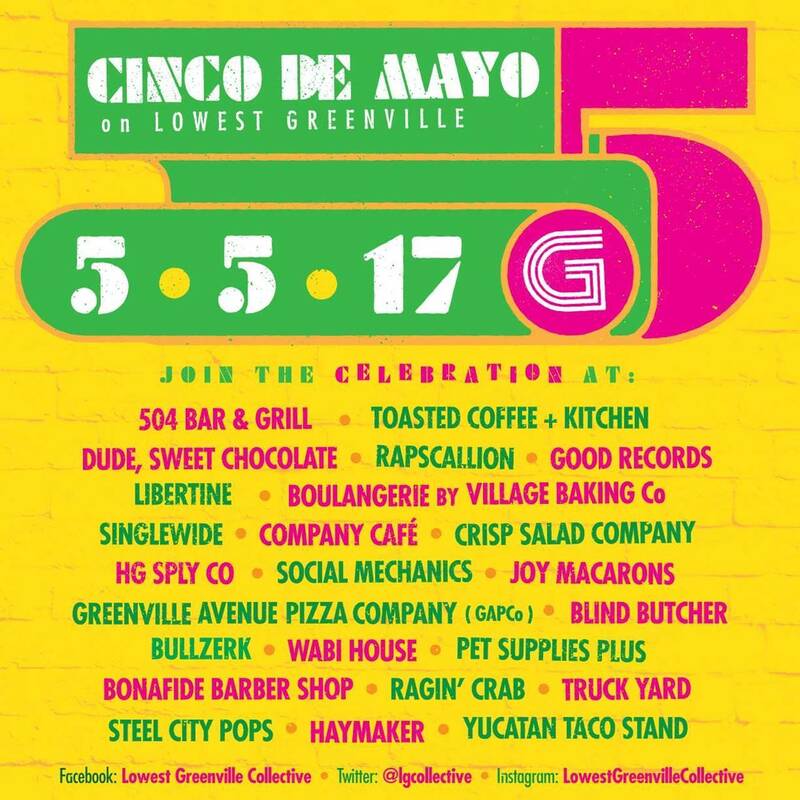 “On Friday, May 5, from 2-10 p.m., the street in front of Mexican Sugar will be blocked off for a Cinco de Mayo Block Party that you won’t want to miss. 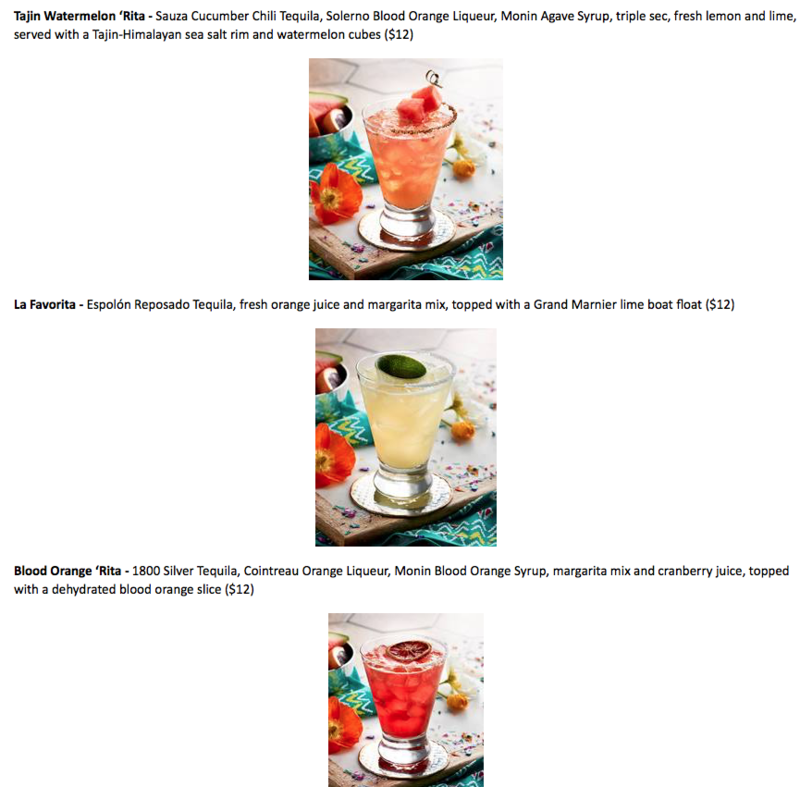 This year, guests can enjoy the bold flavors of Mexican Sugar’s classic and frozen margaritas at a special $7 price while getting into the spirit of the holiday with live music, a strong-man piñata competition, Latin food tents and pop-up bars.